This story was written by Anna Rzewnicki and originally posted at poole.ncsu.edu. 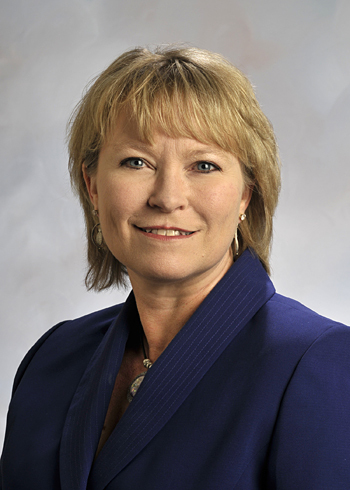 Dr. Annette L. Ranft, senior associate dean of academic affairs and the Reagan Professor of Business at the University of Tennessee’s Haslam College of Business, has been named the Stephen P. Zelnak Jr. Dean of North Carolina State University’s Poole College of Management, effective July 1, 2016. NC State Provost Warwick Arden announced the appointment today. Ira Weiss, who has served as dean since 2004, announced last year that he would step down and join the college’s faculty. “Dr. Ranft’s prior professional and academic experiences in technology intensive environments make her an excellent fit for Poole College, which has a strong focus on management in a technology driven global marketplace,” Arden said. Most recently, Ranft provided strategic leadership as associate and senior associate dean at the University of Tennessee’s Haslam College of Business, and as department chair for management at Florida State University’s College of Business. “I have had an incredible set of opportunities to learn from both of these academic leadership roles, developing a deeper understanding of the challenges and opportunities facing higher education in general and the role of business education in a public land-grant institution in particular,” she said. In 2012, she was named to The Wall Street Journal‘s list of top female business school administrators, one of 11 “shining stars” identified by the newspaper. Ranft also has held faculty positions at Wake Forest University’s Calloway School of Business and Accountancy and West Virginia University’s College of Business and Economics. Prior to her academic career, she worked in industry as a systems consultant at AT&T and as an account manager at EDS. Her research interests are primarily in the areas of knowledge management, strategic leadership and innovation, particularly in the context of corporate acquisitions. Her research has been published in top journals, including the Academy of Management Review, Academy of Management Journal, Organization Science, the Journal of International Business Studies, and the Journal of Management. Ranft is an active member of the Strategic Management Society, the Academy of Management and the Southern Management Association. She served as an associate editor of the Journal of Management and on the editorial review boards of the Academy of Management Review and the Strategic Management Journal. Her new Poole College leadership role is a bit of a homecoming for Ranft. She received her doctorate in business administration from the University of North Carolina at Chapel Hill and her bachelor’s in mathematics from Appalachian State University. She holds a Master of Science in Management from Georgia Tech. NC State’s Poole College of Management has more than 100 faculty members in the departments of accounting, business management, economics, and management, innovation and entrepreneurship. A think-and-do attitude has been embedded in the college from its founding in 1992 with an emphasis on experiential learning and applied research. This is sustained through industry-academic relationships fostered by college initiatives that focus on consumer innovation, entrepreneurship, enterprise risk management, supply chain management, sustainability, and the college’s Center for Innovation Management Studies. The college has about 2,600 undergraduate students and 750 graduate students pursuing bachelor’s degrees in accounting, business administration and economics; master’s degrees in business administration, global innovation management including a global luxury management option, and master’s and a doctorate in economics offered jointly with NC State’s College of Agriculture and Life Sciences. The college also has fostered relationships with leading international business schools that provide dual degree and other opportunities to learn about business in other countries. NC State Executive Education, based in Poole College, provides custom and open enrollment non-degree programs for business and industry. Poole College has had several firsts at NC State: the first college to be named, the first to have its graduate programs named and the first to have a named dean’s chair. The college’s programs also have been recognized in national rankings.